general public it was a place to see and also a place to be seen. still draws in the crowds. 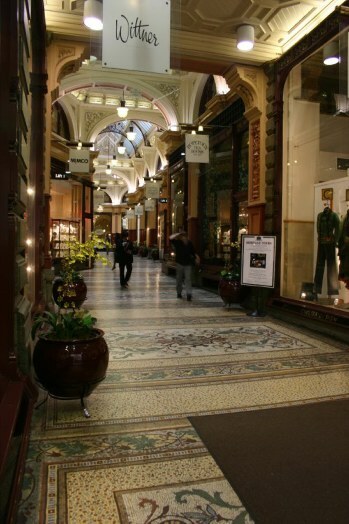 They can often be seen soaking up and savoring the 1890’s atmosphere as they stroll around the Arcade with camera’s in hand, taking pictures of the beautiful interior and architecture It’s a symbol of the late Victorian age, a standard bearer and beacon to the city’s success both economically and culturally. It was this Southern city’s answer to Bond Street in London and the Boulevards in Paris. Fashionable Melbourne had finally come of age! 1892. The second and final part of the building was completed in 1893. There are entrances from both Elizabeth and Little Collins Streets. The end result was a building with a richly decorated interior, an exquisite mosaic tiled flooring, glass canopy and wrought iron. Despite splendor and magnificence of the structure, architect David C Askew never lost sight of its need to be user friendly for the future. After all this was a practical commercial proposition that would increase landlords’ holdings. By offering ladies and gents a refuge from the dust, heat and noise of the street he could introduce them to a large shopping area where they could view and possibly buy goods from a wide variety of shop fronts. 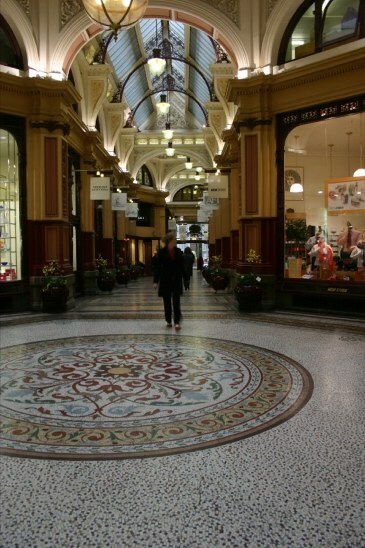 The Arcade was also one of the first to utilize state of the art technology then, such as electricity for lighting as well as having 2 lifts (elevators) to take people to the first floor. Visitors today can still enjoy a cup of tea in the iconic Hopetoun Tea Rooms, the only business to grace the Block original from those early days. Created by the Victorian Ladies Work Association and named after the Association’s founder, Lady Hopetoun Wife of Victoria’¦s 8th Governo. He went on to become Australia’s first Governor General from 1901 to 1903. 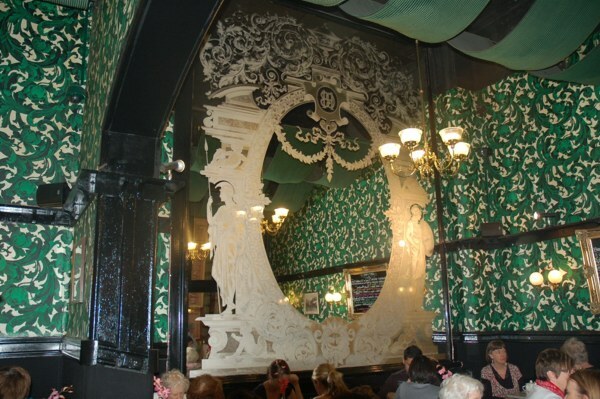 Now in a different location in the Arcade a poignant reminder of the business’ beginnings can be seen on the back wall of the tea rooms, where an etched mirror from the original Tea rooms hangs. Patrons of the Hopetoun Tea Rooms could dwell on the George Orwell quote “All true Tea Lovers not only like their tea strong, but like it a little stronger with each year that passes,”¨ as they sit and gaze around them … especially after capturing their vision in the spectacular etched mirror.